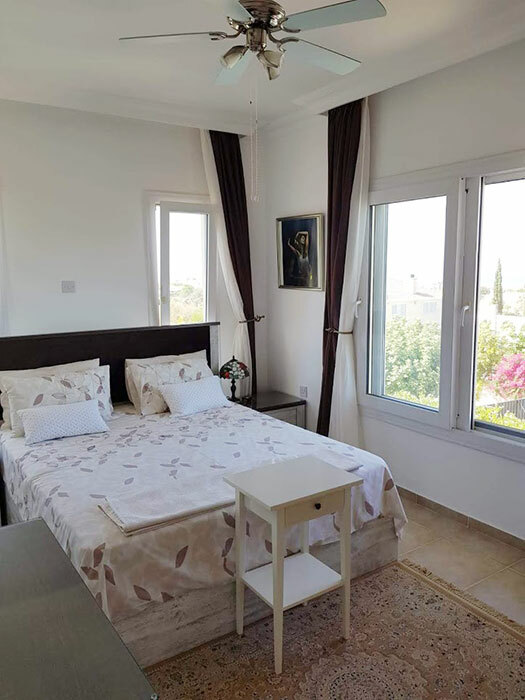 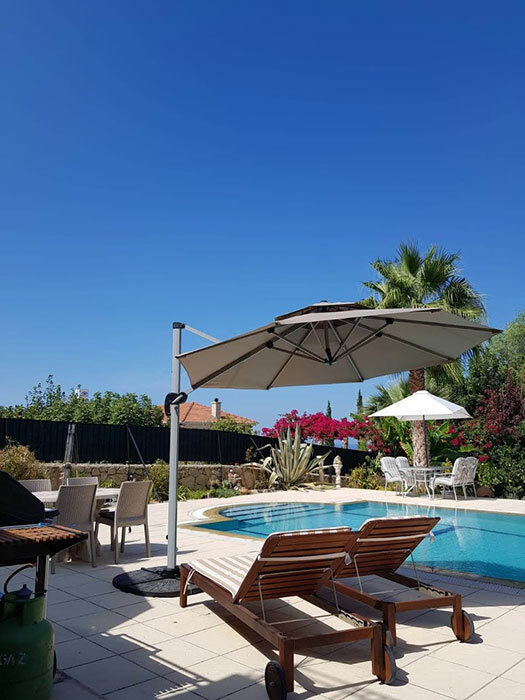 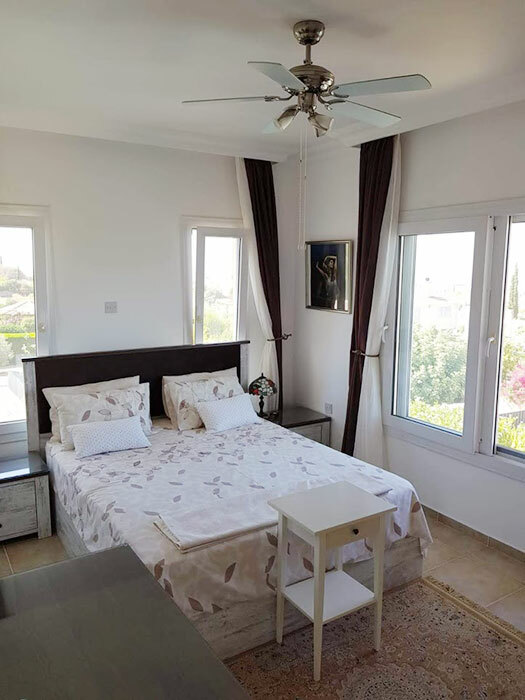 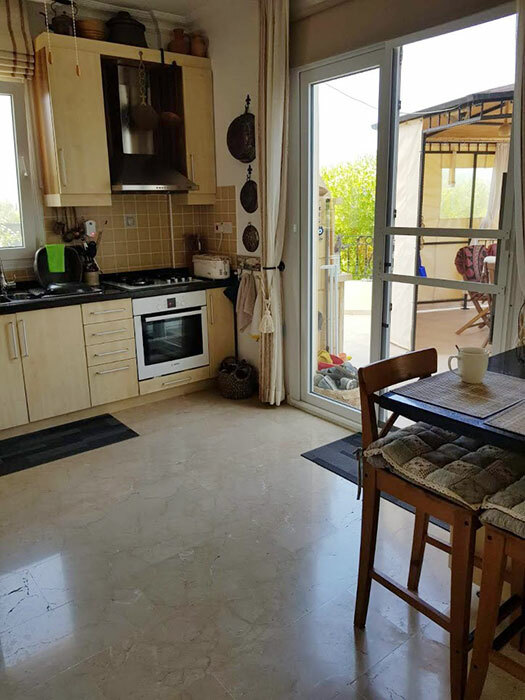 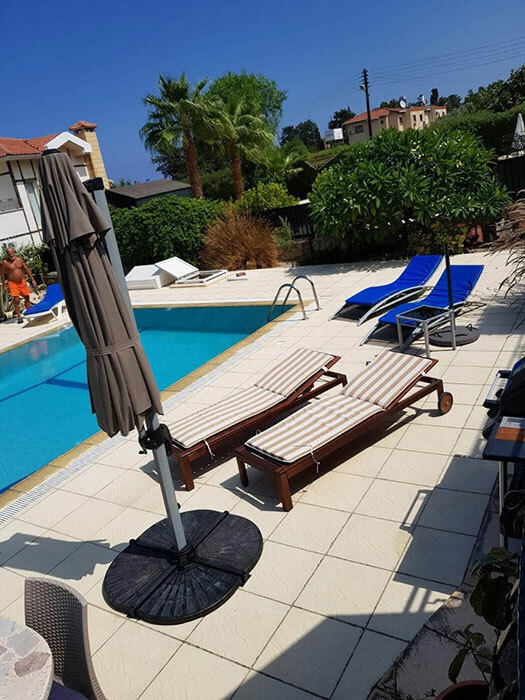 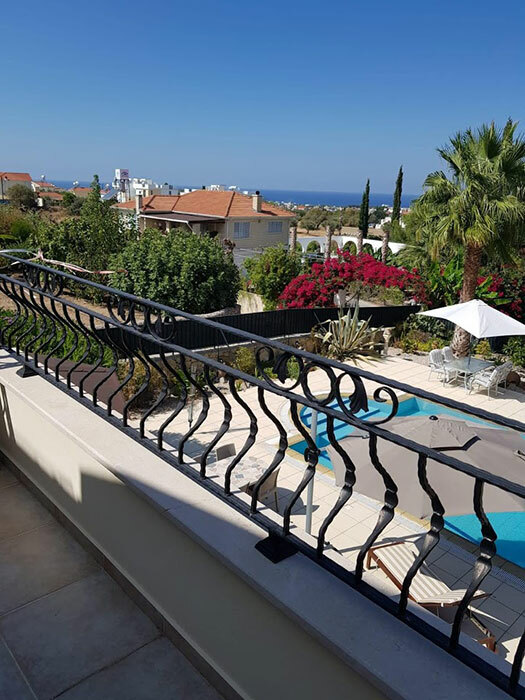 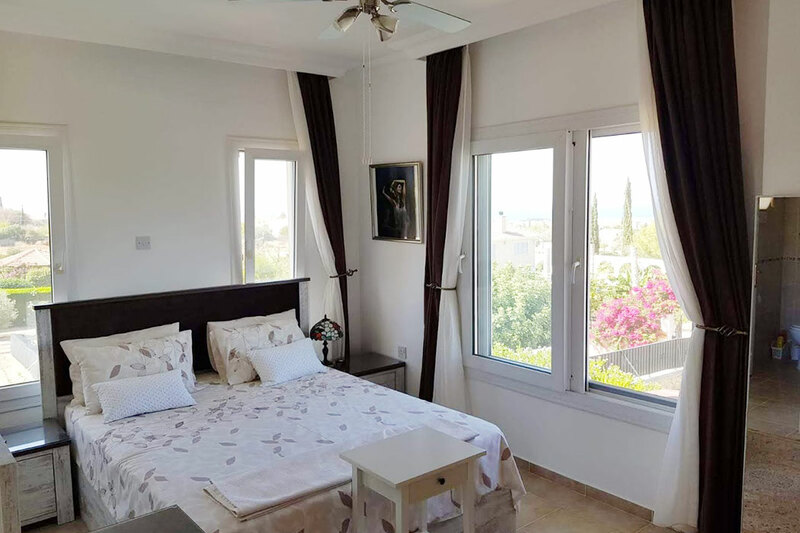 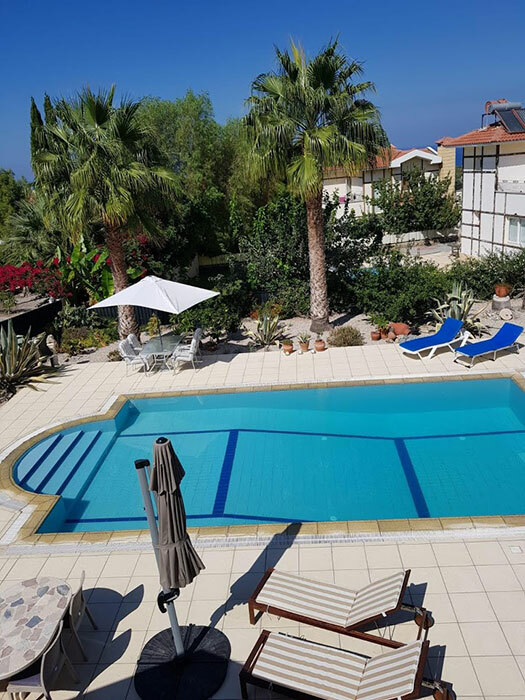 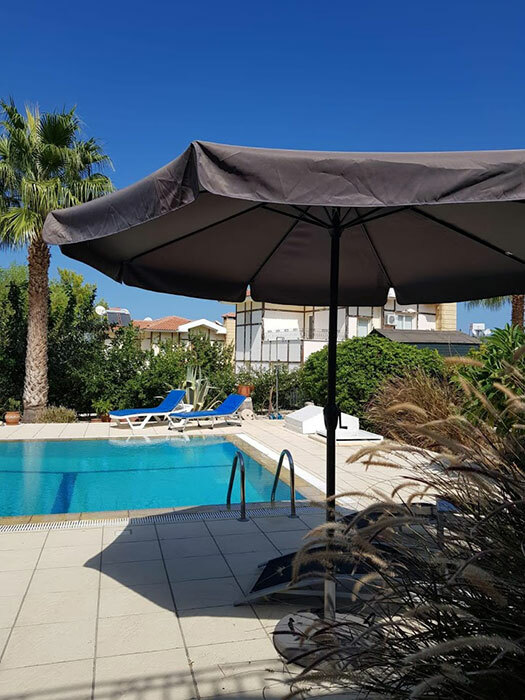 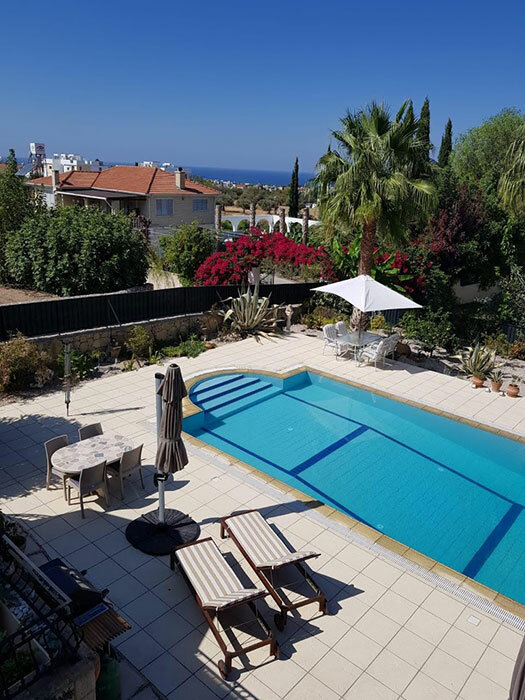 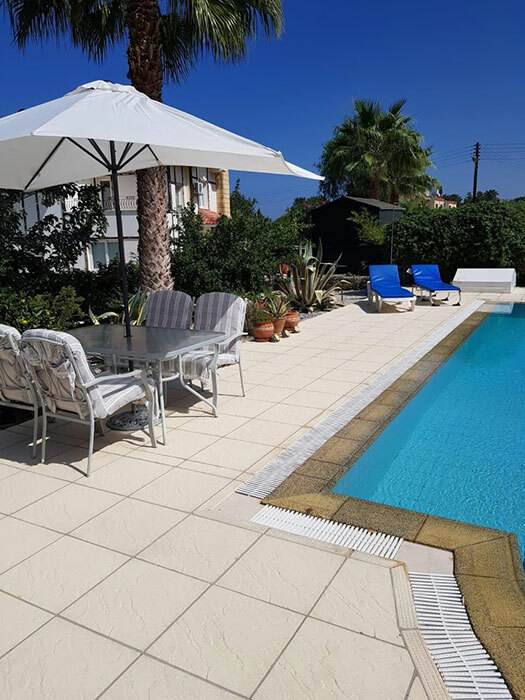 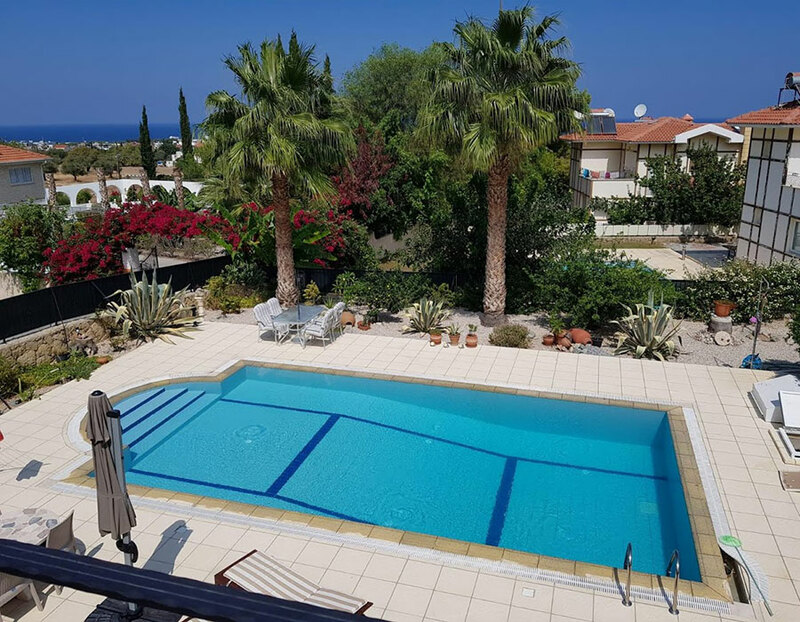 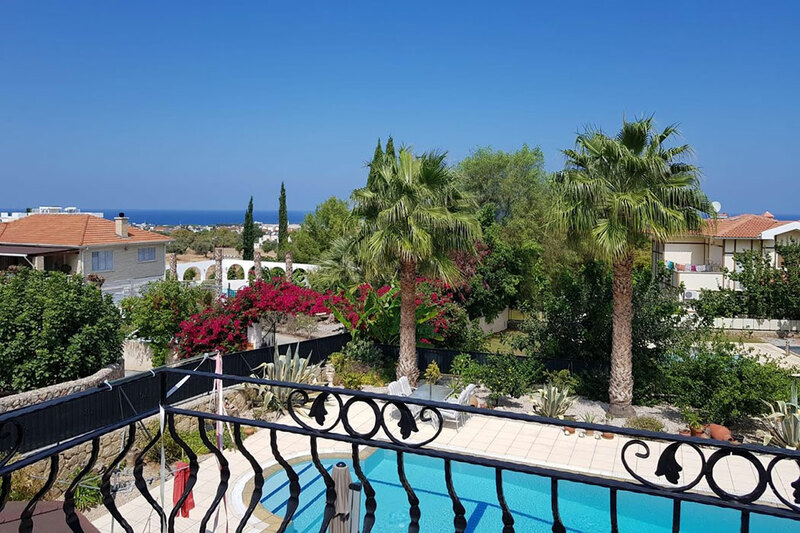 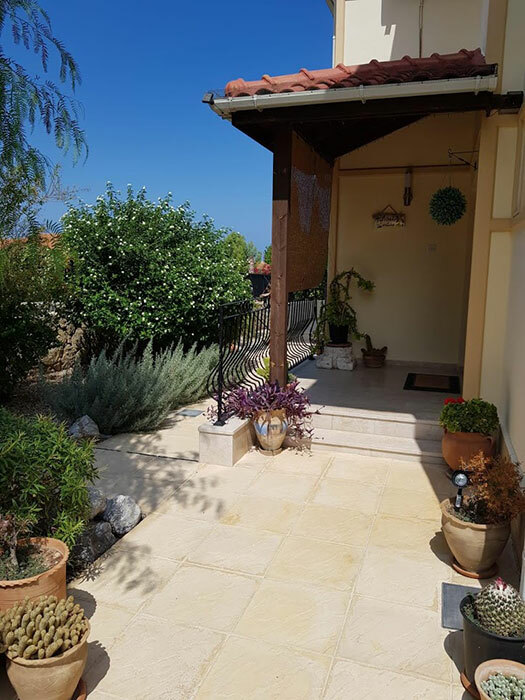 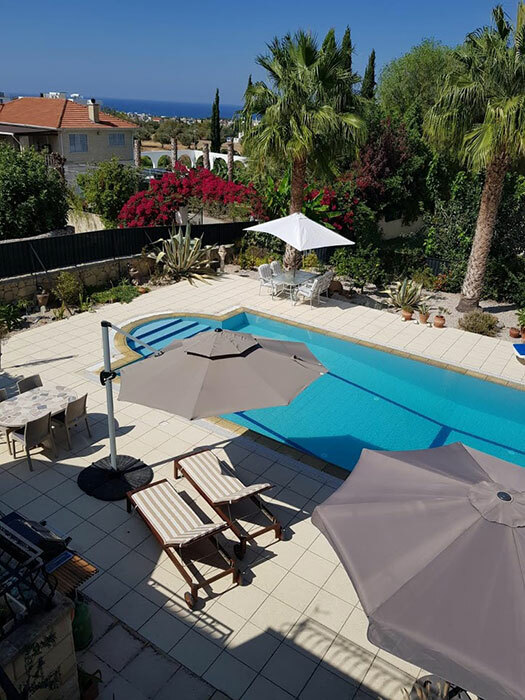 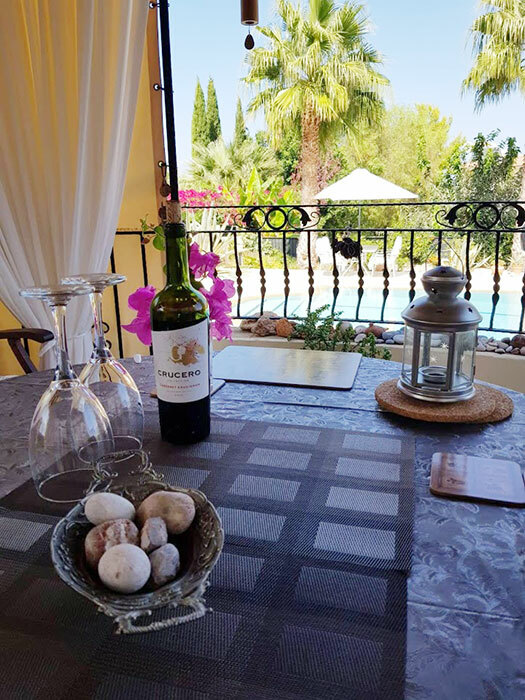 Located in the village of Alsancak, 5 miles west of Kyrenia, Holiday Villa PerriMaya is a beautiful 3 bedroom well equipped holiday villa set amidst beautifully landscaped gardens with plenty of outdoor space. 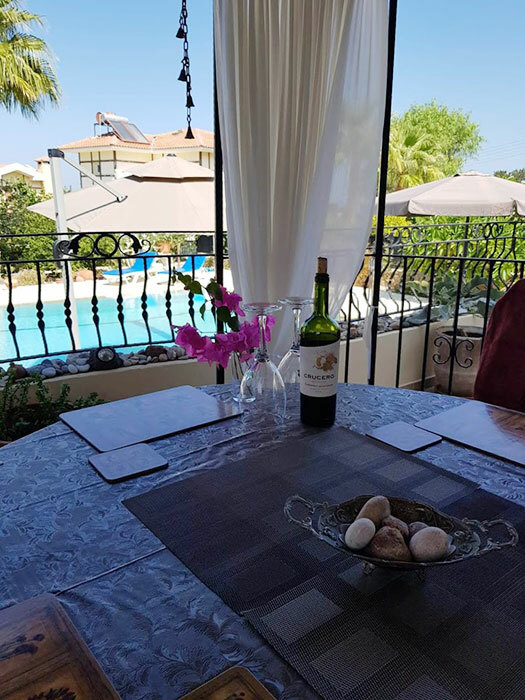 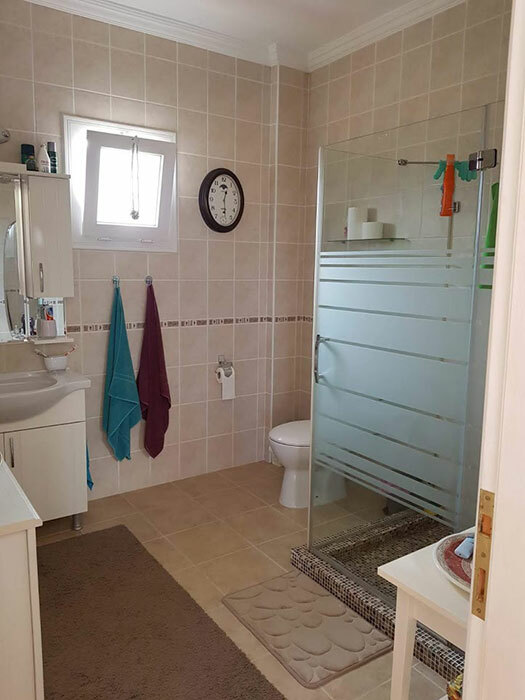 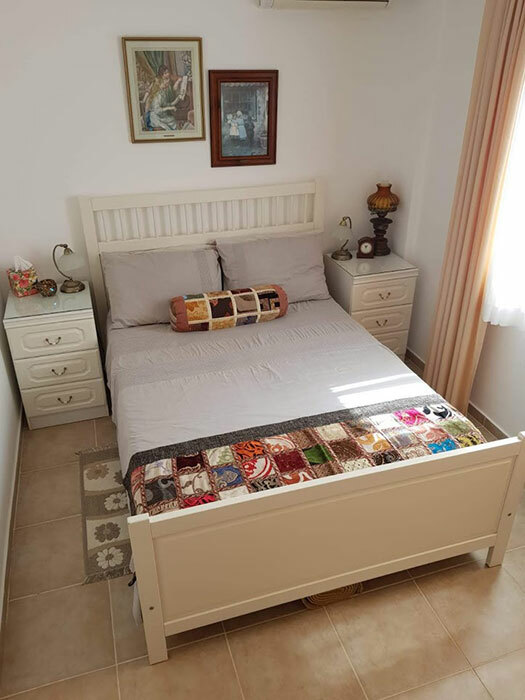 It has been furnished to a very high standard providing an ideal family holiday home in North Cyprus. 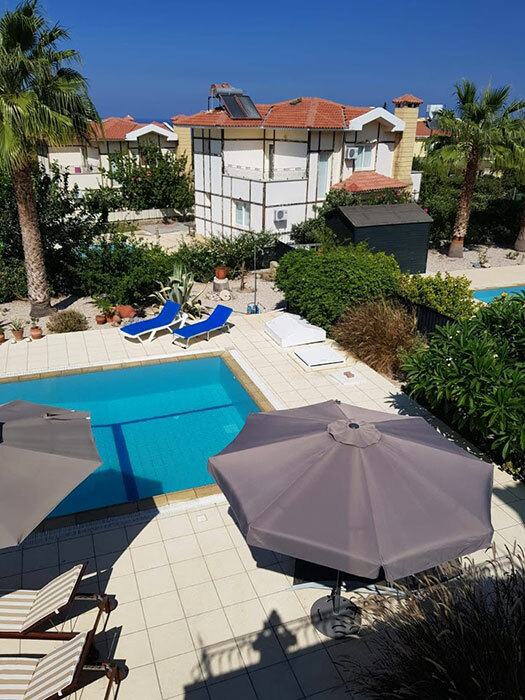 The villa offers spacious accommodaiton set on two levels and various terraces perfect for sunbathing whilst gazing out to sea and mountains. 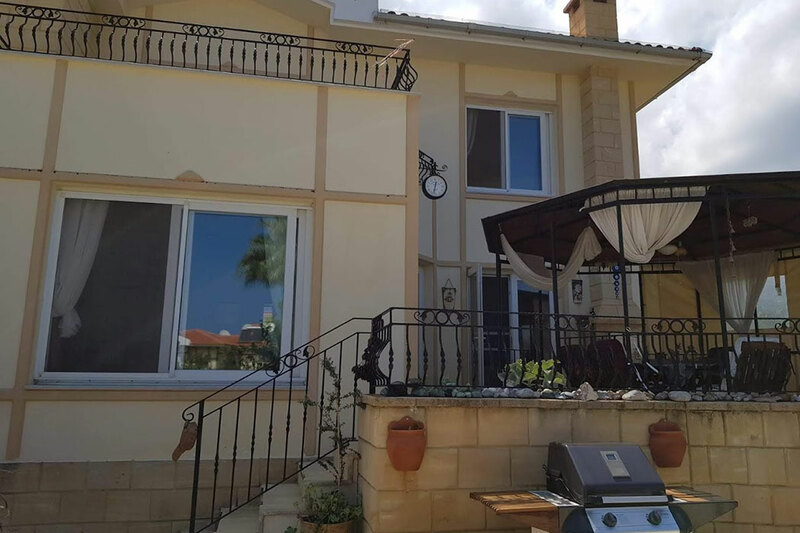 There are 2 Balcony's. 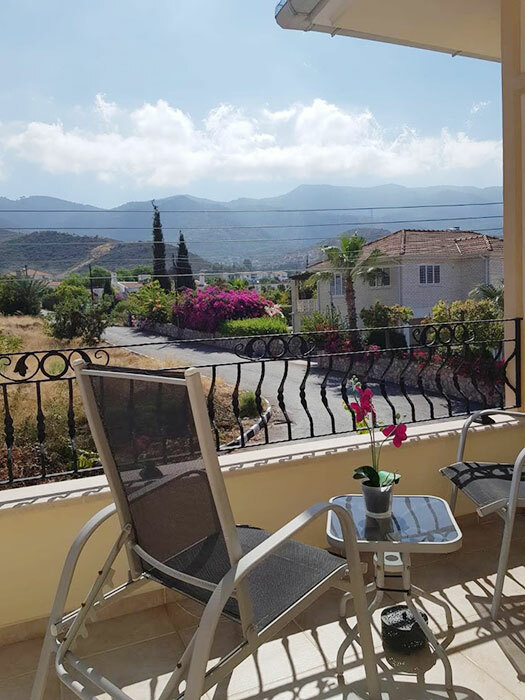 It is situated in an elevated position with sea and stunning mountain views. 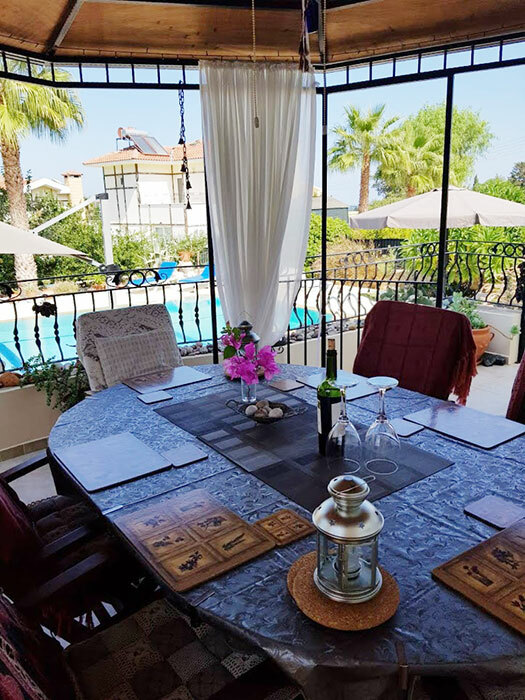 The villa is suitable for both families and groups and within easy reach of local beaches, restaurants, bars and shops. 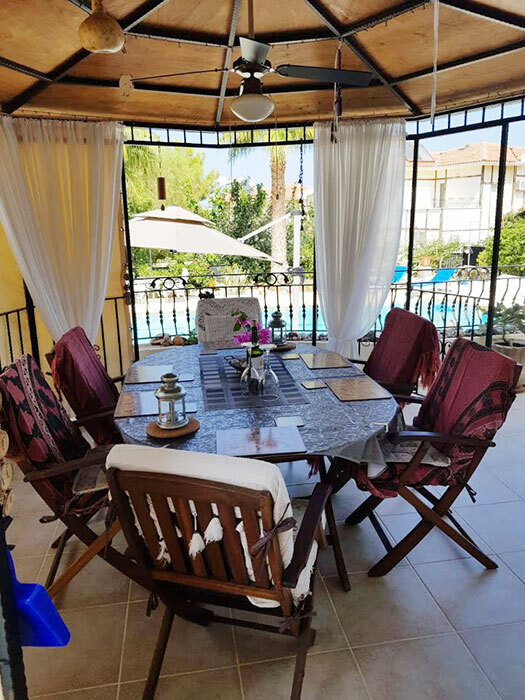 The prices listed above are valid up to 6 people only. 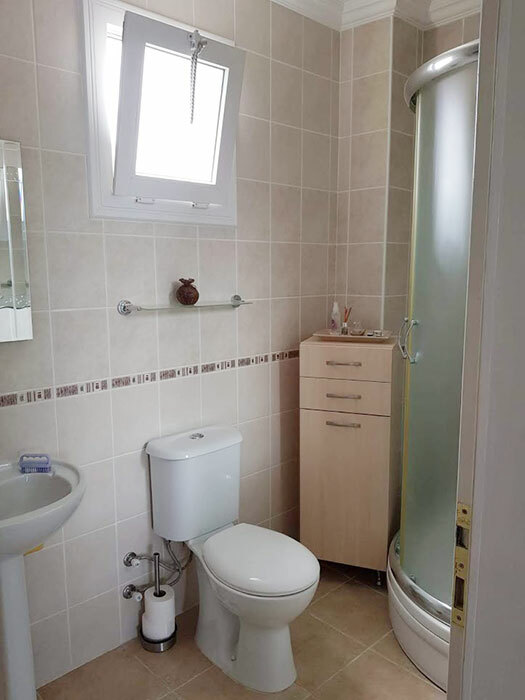 300 units electric per week which is sufficient for normal usage, and excess usage is chargeable at 50p per unit. 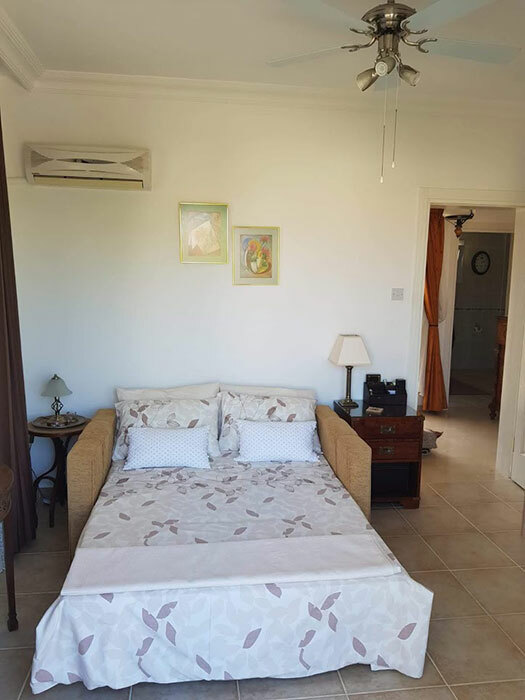 There is a spacious lounge. 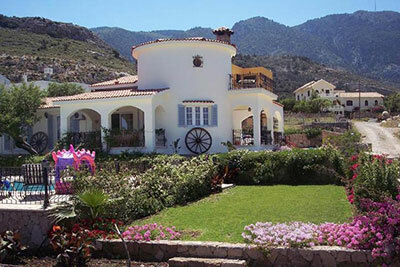 Air-conditioned, Plasma TV, internet TV, CD/DVD Player, DVD's, coffee table, Sofas, Fireplace, Patio Doors, Terrace. 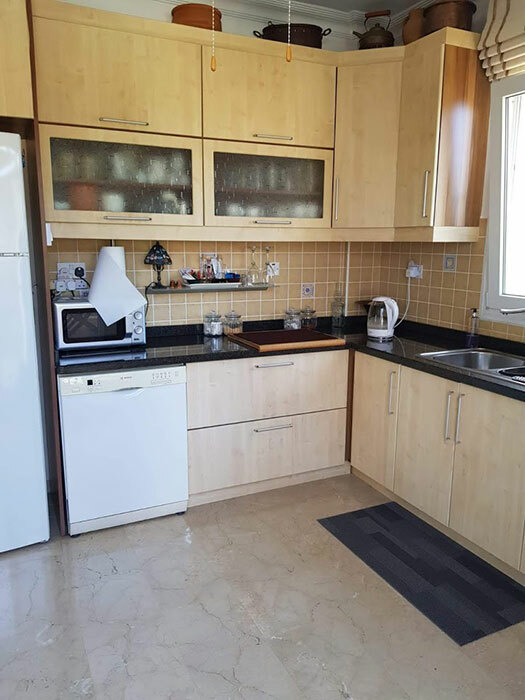 A/C, Fridge/Freezer, Oven, Toaster, Hob, Microwave, fully-equipped with an extensive range of utensils and cooking equipment. 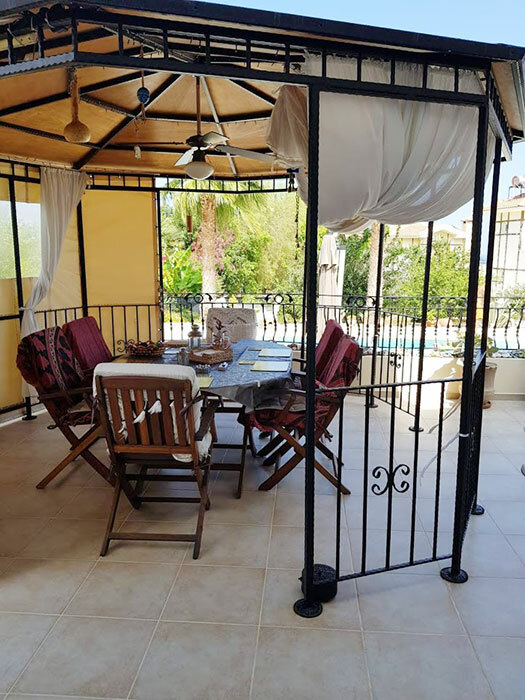 Patio Doors, Table and Chairs. 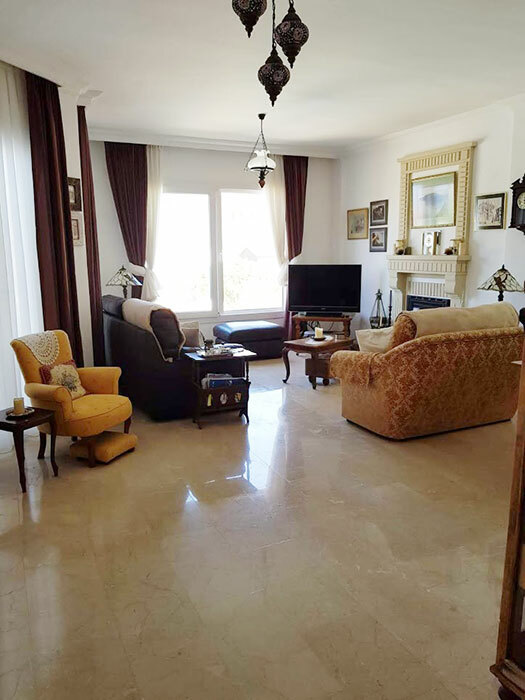 The villa is cleaned before a rental. 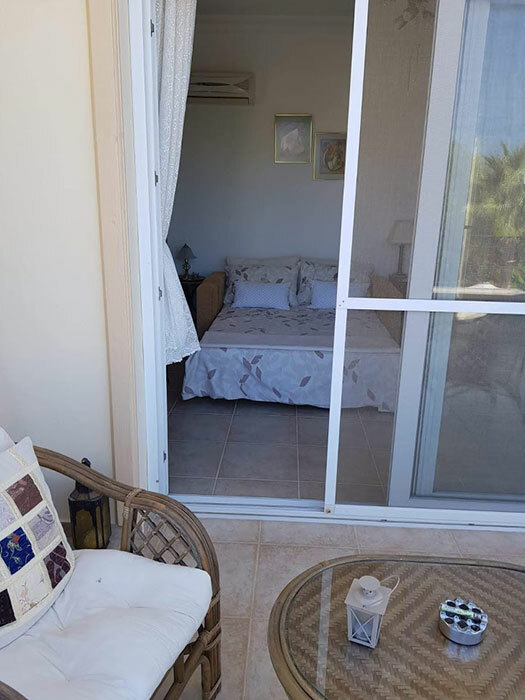 Towels/linen, except beach towels are provided. 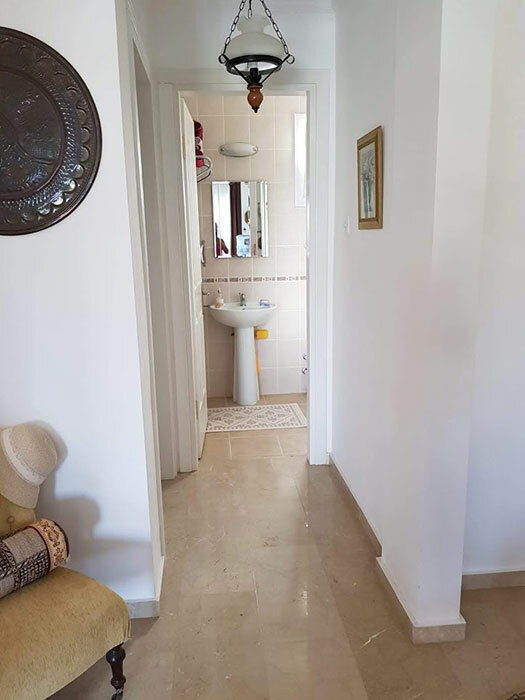 Extra maid service can be arranged at an additional cost. 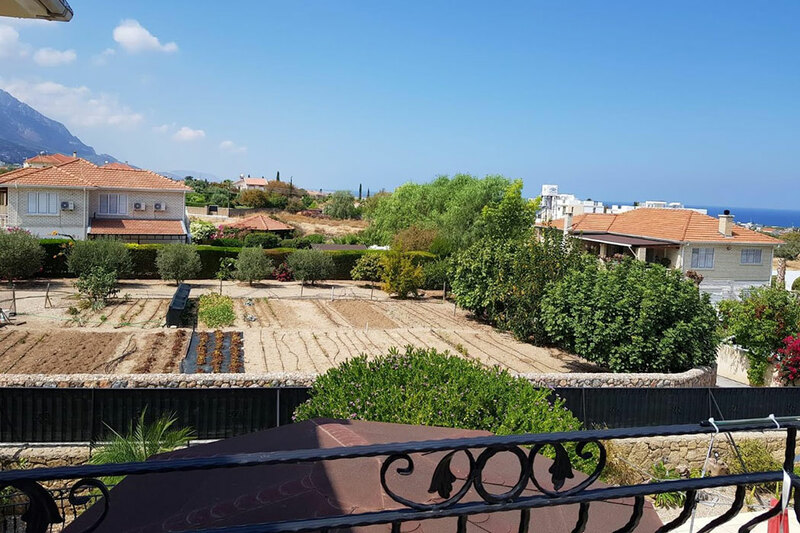 Supermarkets and other local shops close by. 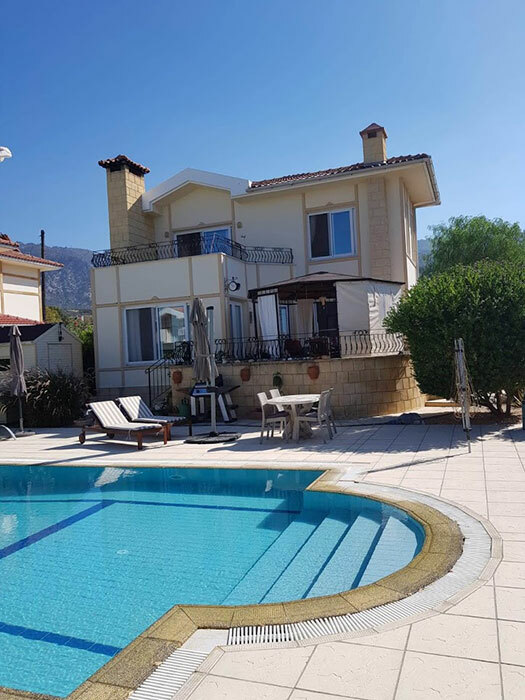 Villa PerriMaya is located in the village of Alsancak, 5 miles west of Kyrenia, North Cyprus. 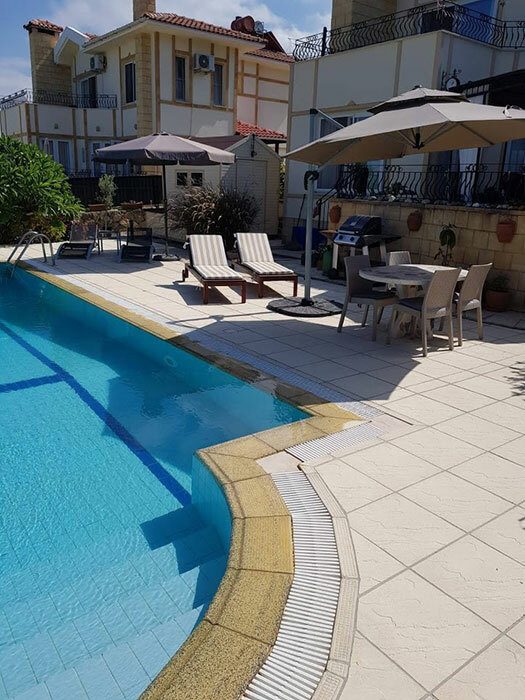 The area offers amenities such as restaurants and bars, supermarkets, banks, chemistry, fitness centre and more. 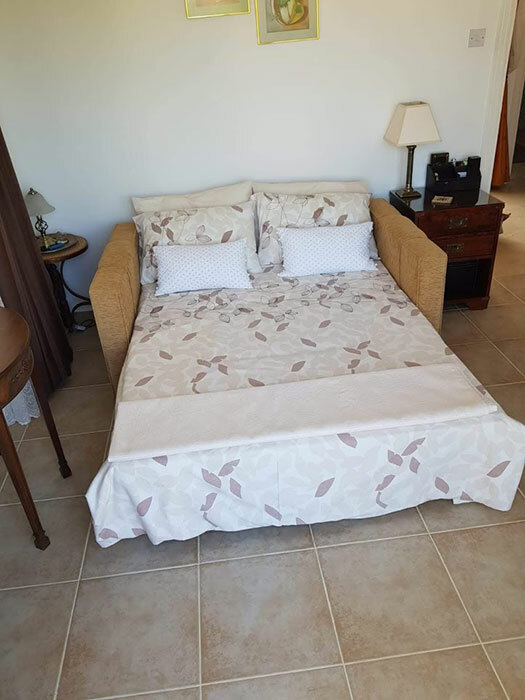 Nearest Beach: Beach is within 5 minutes drive or 20 minutes' walk. 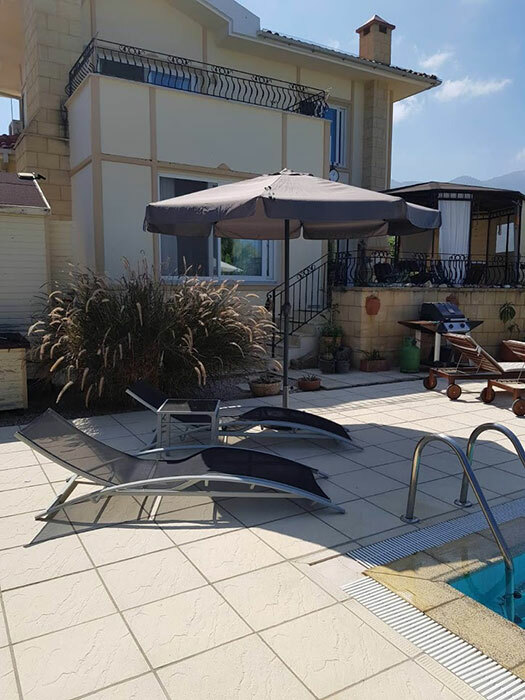 Nearest Bar: 10 minutes' walk.